When and why did we start trying to second guess new products months before launch? The never-ending circle of hype centred on Apple only offers fuel for journalists to keep the flames of consumer interest burning. Have you heard? This Wednesday evening a man is going to stand on a stage in a convention centre on the west coast of the USA, and talk about a glass, metal and silicon device he’s holding in his hand. His audience of thousands will rapturously applaud, while retelling the story on smartphones and laptops to millions of adoring worshippers across the world. A pilgrimage of journalists will simultaneously be watching the same man via a live video link-up to London’s BBC TV Centre. This glorious and reverential moment is the climax of months of enforced secrecy and rumour management. 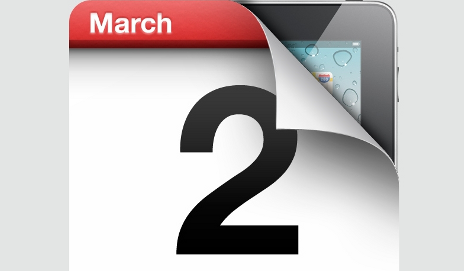 Ladies and gentlemen, this week we will witness the birth of the iPad 2. Please do not faint with excitement. An Apple product launch is the ultimate hype-fest. Let us not forget that the product being unveiled will not change the lives of every man, woman and child on this planet, as an alien observer might incorrectly surmise from the fuss being made. We are talking about the successor to a product which, a year ago, held us enthralled by its ability to let us do what exactly we could do before but on a different-sized screen. This year: probably more of the same. Looking back a hundred years, did the newspapers devote swathes of column inches to what Henry Ford might or might not announce as a follow-up to the Model T? Were there ‘exclusive’ pre-launch etchings printed showing us that its windscreen was slightly larger than on the original? Or that it used a new type of oil? And didn’t the automobile change the world more than an updated tablet computer ever could? Are you caught in the hype? Why now, does society succumb to the clouds of hot air guffed out by PR firms, and in this case, Apple HQ itself? Just as air-freighted fruit makes the passing of the seasons inconsequential, now the tech calendar can be divided up simply into an endless cycle of pre-launch rumour and post-launch analysis for iPod, iPhone, iPad and iTunes. As a tech journalist I ought to be caught up in the hype. I am who the hype was created for, after all, so I can breathlessly pass it on via print and online to a public who will lap it up like their lives depended on it. Except I’m not, and I don’t. I am a cynic and I say there’s no logical reason to get excited about the iPad 2. It’s just a product. Some will like it enough to buy one. Some won’t. Move on people, there’s nothing to see here but hype. Ignore the man on the stage in San Francisco at 6pm GMT on 2 March. Is Apple still innovative or has it lost its edge? So, the iPad 2 pre-launch hype comes to an end, Which? has a first look iPad 2 video review live, and my colleague Andy is hailing iPad 2 as a ‘non-revolutionary king of the tablets‘. But what do you reckon? A brief history of tech: what got you into computing? Are voice assistants making life easier… or more frustrating?